Bid adieu to butter-filled grits, biscuits and especially crispy chicken and waffles. Forget the two hour sit-down breakfasts that require you to poke an extra hole in your belt, and if you feel funky making your brunch a drop-in and duck-out visit—you shouldn’t. Rush Bowls is joining the movement to reimagine Nashville’s food scene. Nestled on Demonbreun Street near the Gulch’s Barry’s Bootcamp, SHED and more, Rush Bowls is the newest addition to the restaurant repertoire responsible for Nashville’s recent health kick. Determined to make the nutritious choice the easy one, the bowl bar offers all-natural mixtures for breakfast, lunch or dinner. 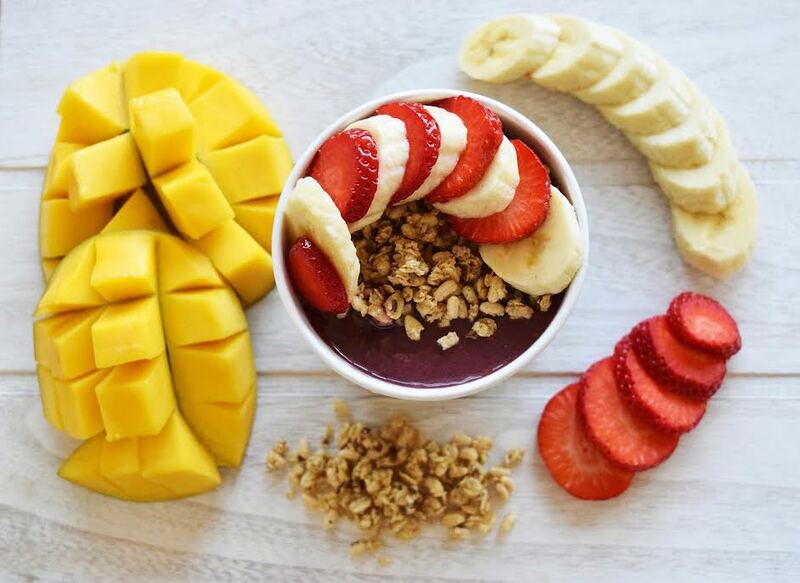 The three-month-old franchise offers acai, seasonal and comfort bowls along with smoothies, all of which are customizable to accommodate dietary needs or special preferences. Any fruits can be swapped for kale and spinach, and frozen yogurt can be excluded from recipes upon request. Most bowls are topped with organic granola, fruit and honey. While each bowl costs $7.95, the generous serving size and notably fresh ingredients offer quality fuel for even the hardest-to-fill stomachs. Nashville Rush Bowls owner Jason Wilkins states that the product appeals to everyone, and the wide reach is evident on the menu. With choices ranging from the signature acai Beach Bowl to the seasonal Pumpkin Spice Bowl, the options span from sweet to distinctly “green” tasting. The upbeat staff will make sure to chime in that no bowl is complete without the in-house ground peanut butter; they’re right. It would, however, be beneficial to have the nutritional content on the website to know just how comforting that Chocolate Covered Strawberry comfort bowl will be. Are we talking comforting as in “only comfortable in sweatpants because my jeans don’t fit” or “indulge regularly and still feel healthy”? 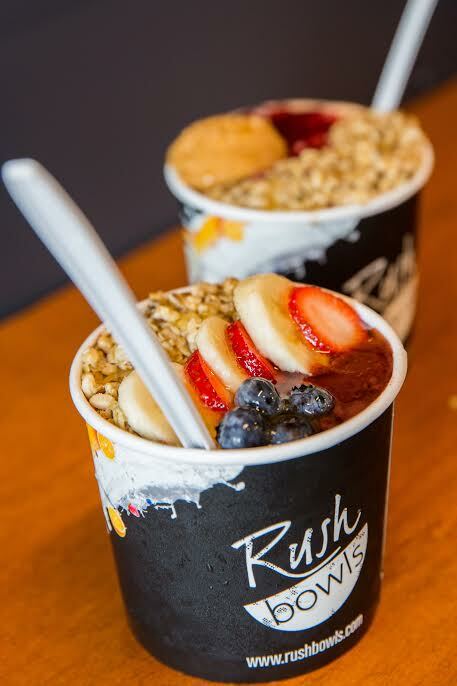 Regardless of your order, timeliness is something that Rush Bowls keeps in mind for each customer. Each bowl takes up to a minute to make. Wilkins adds that in the busiest hours, about 500 bowls can be prepared—impressive for a small kitchen with only a couple of blenders. 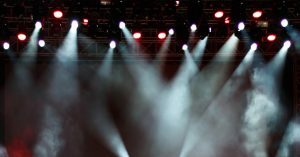 “This all started at the University of Colorado Boulder in 2004 when the creator Andrew [Pudalov] left New York’s financial district for a healthier lifestyle. He had somewhat of a cult following on [University of Colorado] Boulder’s campus of young, health-minded millennials who wanted healthy food quick,” said Wilkins. Noting the explosive growth in Nashville and interest from Vanderbilt University students, Wilkins is hoping to recreate the Colorado success story and eventually open a location closer to Vanderbilt’s campus. For now, the distance from campus to the Gulch is quickly eliminated via Postmates and ChowNow, which currently complete Rush Bowls deliveries in less than an hour. 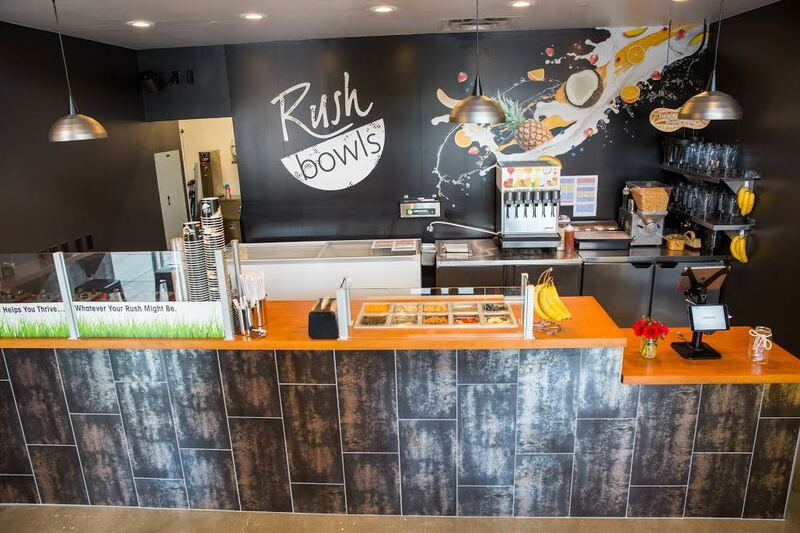 With a steady following after just three months, Rush Bowls has found a promising new home in Nashville. For a fast grab or a casual meet-up, the small shop is ideal. Besides, it’s about time to part ways with the hot chicken and join Nashville’s health wave. Your arteries will thank you for it. Updated: All images are provided by Rush Bowls. Did the restaurant’s PR team write this? I know this is the Hustler, but this reads like an advertisement. Also, considering the images are from the PR team, I would infer the author got to try this for free. This should be disclosed somewhere.